Aomine was the ace of Teikou's team, embracing an aggressive and liquid style, made even more powerful by Kuroko's misdirection. 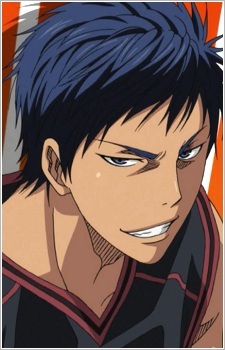 In fact, Aomine was once Kuroko's "Light," before Kagami. Incredibly fast and versatile, Aomine's strength lies in his unpredictability, as well as an uncanny ability to shoot from virtually any position.